As the year is coming to an end, I wanted to reflect on my 2013 blogging journey and share with all of you some of my favorite looks. Although I have one too many to post, I decided to showcase my "top looks" that show my versatile style the best. If there is one constant pattern you can definitely notice is that I love curly hair and bold lipstick colors. I started the year comfortable in my own skin wearing mostly jeans (I own over 25 pairs) but promised to break out of my shell and experiment more. Towards the end of the year, I began buying more and more skirts and my style quickly evolved into a more feminine girly look. I want to thank you all for your continuous support and sweet comments! It means the world to me! I can't wait to see what 2014 has in store and share my journey with you as well! Which one is your favorite look? I would love to know! The best part of my fabulous DSW giveaway has come and it's time to announce my winners! I apologize for taking so long to announce it! I have been sick these past few days and I have been resting to feel better asap before the holidays! I am so humbled and amazed at all of your sweet comments and entries! I guess everyone really does love shoes! Thank you to everyone who entered! Thank you again for entering and I hope to continue to have you visit my blog in the new year! Congratulations shoe lovers! I will be emailing all of you shortly to get some more additional info! Didn't win? Don't worry, there will be more giveaways in the new year! Thank you & love you all! I mentioned in my previous post that I am in love with my BCBG Paris d'Orsay pumps so much that I chose to style them a different way. My second look is more casual and edgy with coated jeans, a white tee, and a leather jacket. The pumps definitely add a bit of femininity to it and can take the outfit from daytime to nighttime. The giveaway is running until tomorrow, Thursday! The winners will be selected and announced on Friday. 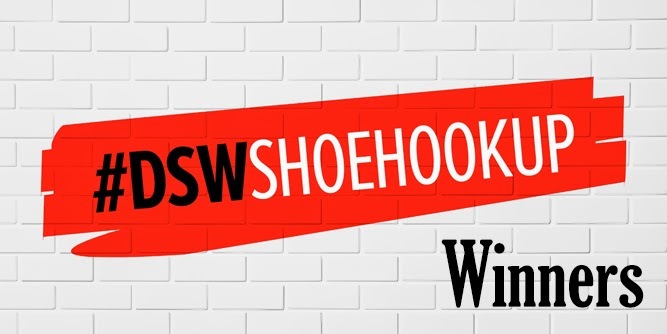 5 lucky winners will win a pair of shoes ($50 value) and a copy of the New York Times best-seller, Do you speak shoe lover? 2. Comment below with your full name, email and DSW rewards account number for verification. There are only 2 days left so make sure you enter today! Best of luck to you all! I couldn't be any more excited to start off this week with my DSW partnership and give away shoe shopping money! Who doesn't love free shoes? I know I can always use a new pair! "If the shoe fits, buy it in every color!" That's how I feel about these BCBG Paris d'Orsay pumps! I have been looking for the perfect black pump and I think I found them! Pumps can be styled up or down, casual or dressy and it's definitely a staple for all seasons! P.S. I think I need all colors! I have been looking for the perfect flared skirt for a while and was beyond excited when I found this piece! My BCBG Paris pumps were the perfect shoes to style this look, which inspired me to keep my entire outfit crisp and clean in black and white. The giveaway starts today and is running through Sunday. The winners will be selected and announced on Friday. Are you ready to enter this fabulous giveaway? This contest is only 5 days long so make sure to sign up as soon as you can! Best of luck to you all! "Tis the season for giveaways and fun collaborations. In my previous post, I mentioned I will be participating in a massive giveaway event with DSW and to stay tuned. Are you ready for the exciting news? I am so THRILLED to announce that DSW has partnered with me and 49 other fashion bloggers and is giving away 250 pairs of shoes and 250 copies of the NY Times best selling book "Do You Speak Shoe Lover?" My contest will begin on December 16th so make sure to check back very soon! This is all going to happen BEFORE CHRISTMAS! 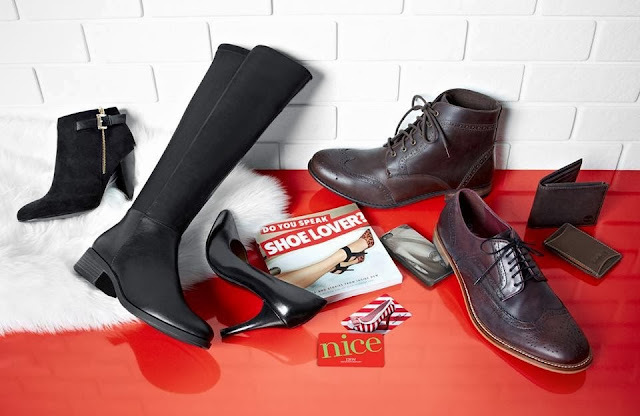 Yes, presents for YOU, from me and DSW! 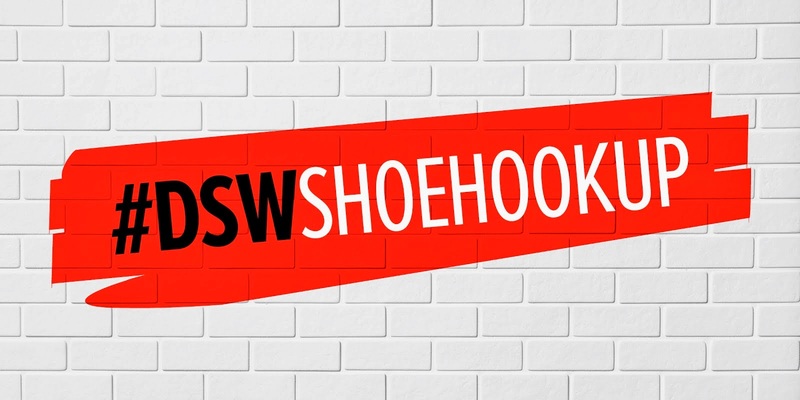 Be sure to stay posted on all social media channels using the hashtag #DSWShoeHookup !